The Georgia gubernatorial race is not over yet. Republican Brian Kemp is ahead by about 18,000, but Stacey Abrams's campaign is trying to take the contest to court, in unprecedented fashion. Abrams’ campaign chairwoman Allegra Lawrence-Hardy said all options are on the table, including using a state law that has never before been attempted at this level of elections. They are filing a petition in the name of voter suppression. The legal team is “considering all options,” Lawrence-Hardy said, including federal court remedies. But the state challenge is the most drastic. 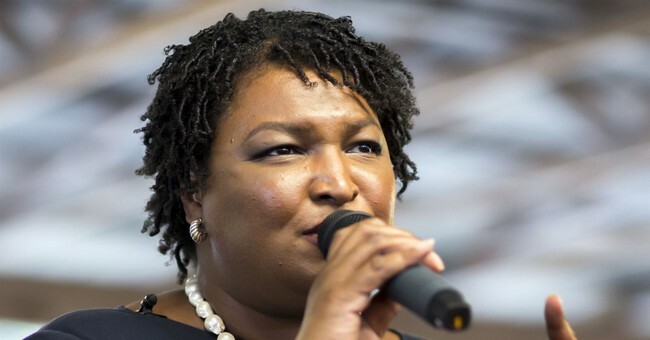 And some Democratic legal observers note Abrams would be dependent on statutes that set a high bar for the court to intervene. Kemp has declared victory, however, and recently resigned as secretary of state after complaints that his office should not be allowed to oversee elections. He said that was not entirely the reason he stepped aside, noting he wanted to "give public confidence to the certification process."